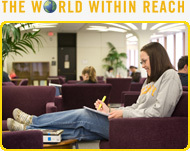 "Pre-Health is not a major but rather a direction at UAlbany. There is a suggested curriculum based on admission requirements to a variety of health professional schools, and this curriculum can be satisfied within the context of several UAlbany majors. We recommend that you choose a major based on your interests and strengths as long the prerequisites for professional school admission are met."